My grandmother was Russian Orthodox and she was from Belarus. She made these types of colored Easter eggs with dried yellow onion skins. Her technique was to combine cooked eggs and onion skins in a large pot of water and then soak them for several hours. 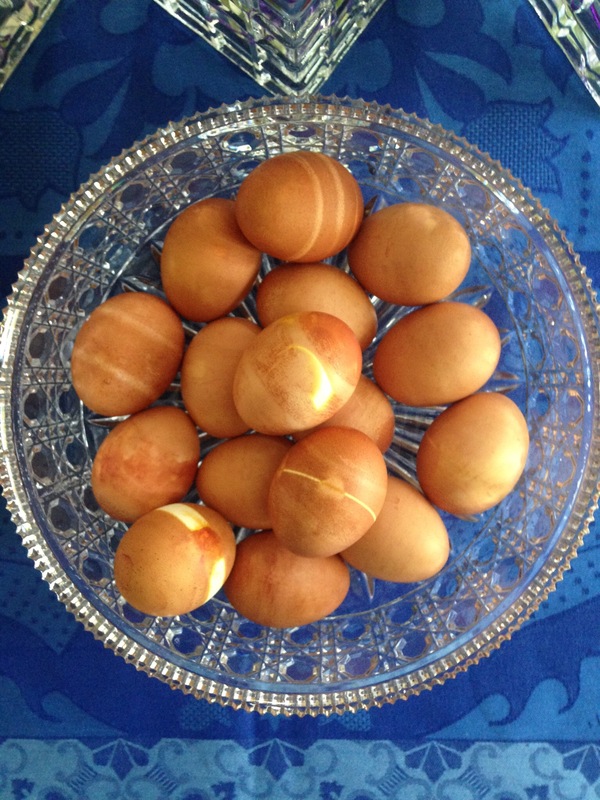 I like to give the eggs a marble look and also at the same time cook the raw eggs with the yellow onion skins. Wrap medium to large pieces of dried skins from yellow onions around each egg in varying degrees of cover to make patterns. Secure skins by wrapping further with string. Don’t tie too tight. 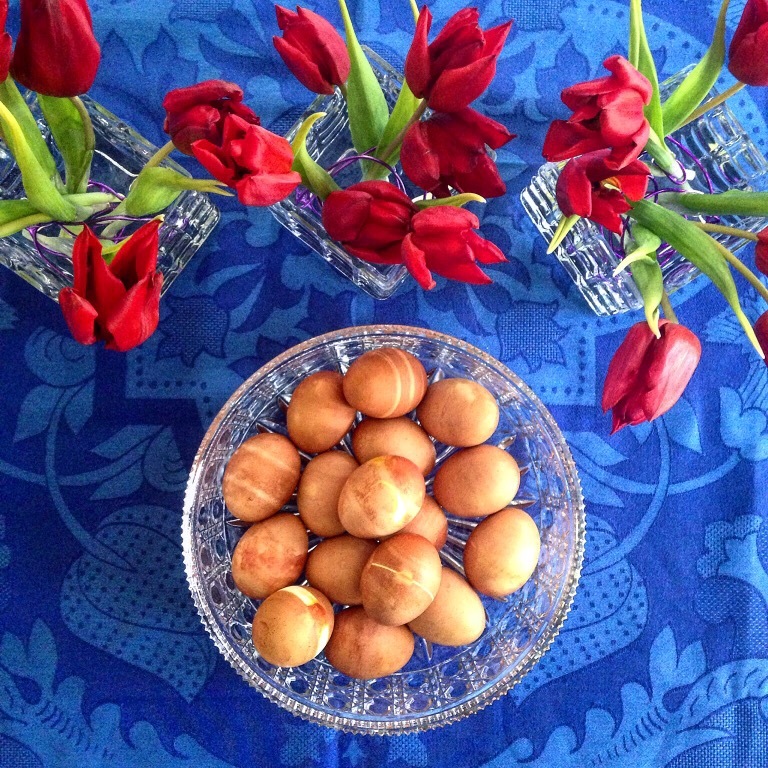 Place eggs in a large pot in a single layer with not too much crowding. Add water and cover the eggs by 2 inches. Cover pot and bring to a boil. Turn heat to the lowest possible level. Remove from heat and let the color absorb for 1 and 1/2 hours or so. A quicker technique is to not wrap the onion skins and only combine them in the pot. Posted in main dishes, salads and tagged easter eggs, natural brown dye, russian orthodox, yellow onion skins. Bookmark the permalink. 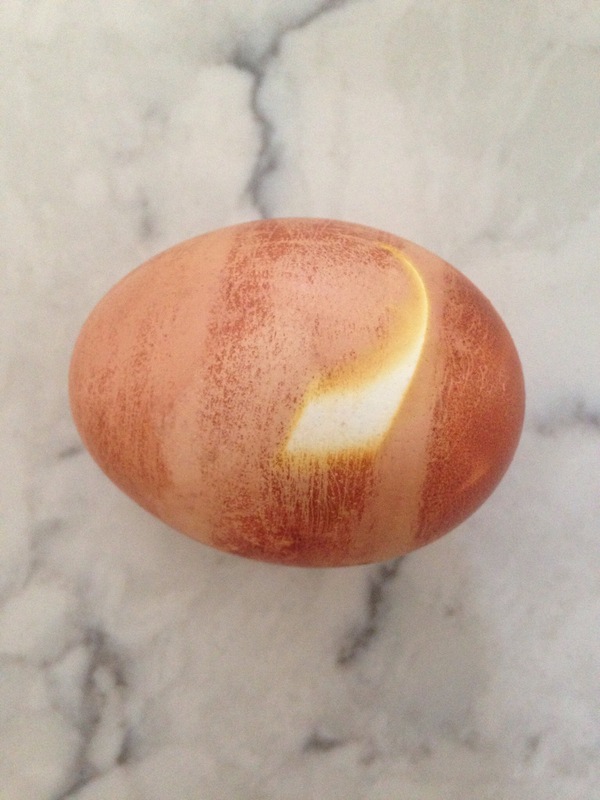 We made similar eggs with my Swiss grandmother, but used carrot greens to add a beautiful leafy effect: we wrapped each egg with the greens, winding thread around them to keep the greens in place. 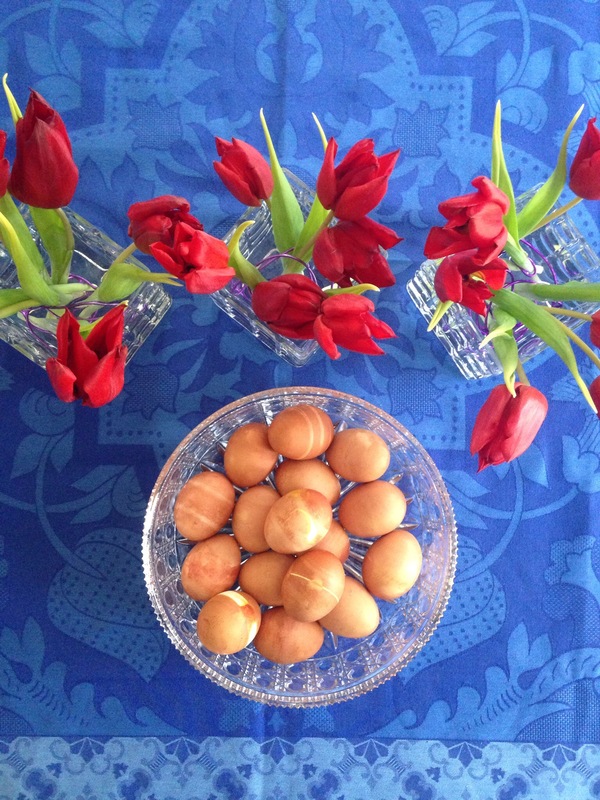 Once dyed with the onion skins, and the greens and thread removed, the eggs are lovely.